This cute little bunny was so tuckered out, it decided to take a nap in these convenient teacups. Who says bunnies are just for Easter? This little bundle of adorable could hang around all spring, or all year! This listing is ready to ship - the 4.84" x 6.84" design is embroidered on a high quality 28" x 28" 130 thread count white flour sack towel. 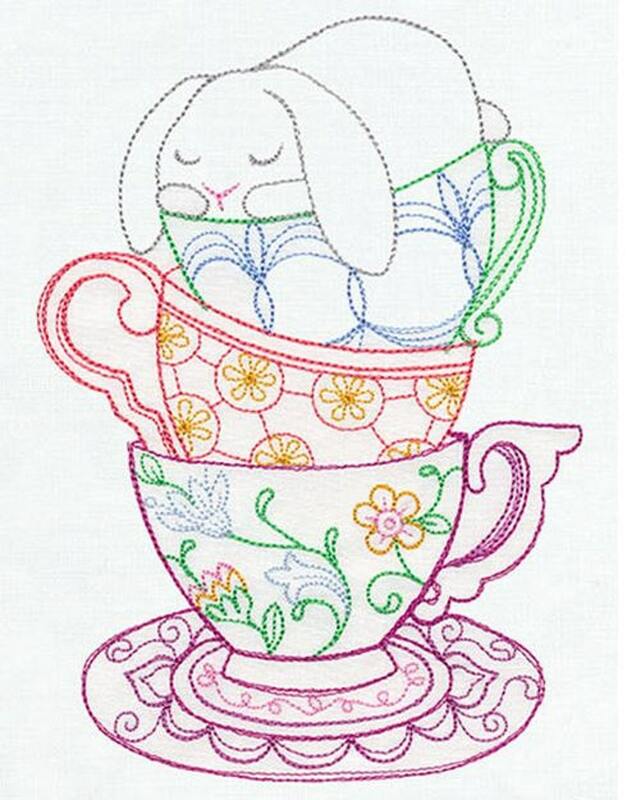 This design is embroidered in 100% rayon embroidery thread - ready to ship out to your waiting hands in 1-3 days. The towel has been laundered twice - once before embroidery and once after. Machine wash warm, tumble dry, no chlorine bleach. All items in my shop are made by me in my smoke-free home. My goal is 100% satisfaction. If you receive the item and it is not what you expected, contact me and I will make it right. Love this design, but want it on a pillow, etc? I relish custom orders! Message me, and I'll create a private listing for you. A variety of shipping options are available at checkout. Purchasing this as a gift? Sweet! Just let me know when you order, I'm more than happy to send to the recipient's address with a little gift tag. Photo courtesy of Urban Threads, embroidery by me! 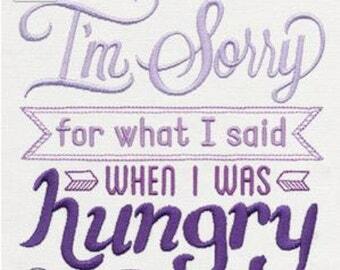 If I needed anything embroidered on anything...I'd come here first. I've ordered a dice bag for my husband, and for myself, and I am overjoyed! Daphne is easy to work with, knowledgeable, and kind. I'd recommend her to anyone.